NORBIT’s compact integrated multibeam solution (iWBMS) offers high resolution in conjunction with the preferred inertial navigation system from surveyors around the world. Having the inertial navigation system GNSS/INS integrated into the sonar ensures fast and reliable mobilization. The WBMS-series are based on a flexible sonar platform that utilizes the latest in analog and digital signal processing. Entire system fits inside a robust and durable transit case and is about 25 kg in total. TG05 Tide Gauge was developed by Kordil and extensively used and debugged in many applications before released as a commercial product. The system is capable of logging water level related to a chart datum and broadcast raw and computed data to a mobile number. 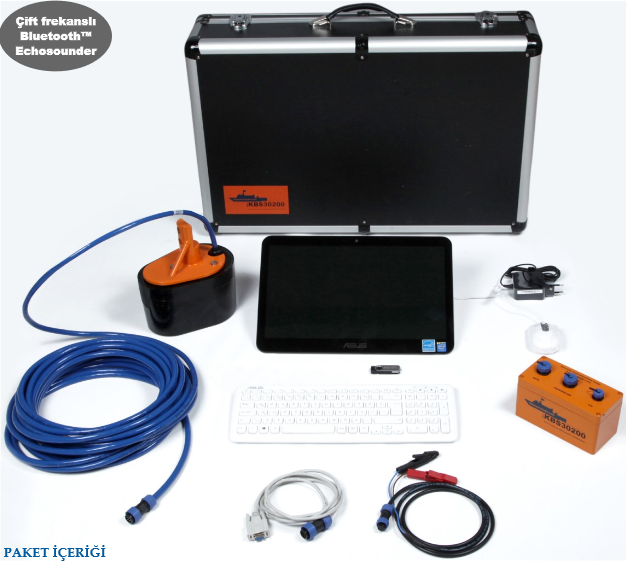 The SonarMite Echo Sounder was the result of nearly two years research and development to further extend the boundaries of shallow water hydrographic surveying equipment. The introduction by Ohmex of the SonarMite, the worlds first truly portable echo sounder system, has been a hard act to follow and it remains the portable instrument of choice in many survey companies around the world. The release of the SonarMite MTX/BTX instrument marks the next stage introducing a series of equipment designed around the WinSTRUMENT concept using the latest portable computers integrated with new measurement technologies. ALM Oceanographic have various tools to measure oceanographic parameters as well as sound velocity profiler which is the most essential parameter to make precision bathymetric surveys. Without known sound velocity, desired accuracy will never be achieved although the best of the echosounder or acoustic instrument used for measurements. Without utilizing sound velocity instrument, the travel speed of sound will never be accurately measured. The travel speed is the main function of the depth together with time. Without knowing the sound velocity a depth 20 meter may vary 1 meter from one season to another. This instrument is essential for accurate bathymetries. Note that echosounders are specified with precision values while makes them accurate. The fact is that the most precision echosounder cannot make precision bathymetry without knowing the speed of sound the traveling through. The A325™ GNSS Smart Antenna offers an affordable, portable solution with professional level accuracy for marine, GIS mapping, and other applications. Focus on the job at hand with fast start-up and reacquisition times, and an easy- to-see status indicator for power, GNSS, and Bluetooth. The durable enclosure houses both antenna and receiver. It can be powered through various sources, making the A325 smart antenna ideal for a variety of applications. Dual-serial, CAN, and pulse output options make this GNSS receiver compatible with almost any interface. KBS30200 developed by Kordil. The system is fully packaged inside a robust and durable transit case including mounting poles and bolt to mount GNSS antenna. 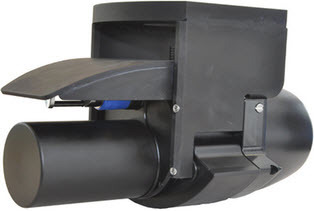 System is designed to work depth from 0-200 meters. The case has space for any other tools (GNSS, handtools etc.) require for a perfect singlebeam bathymetric survey.